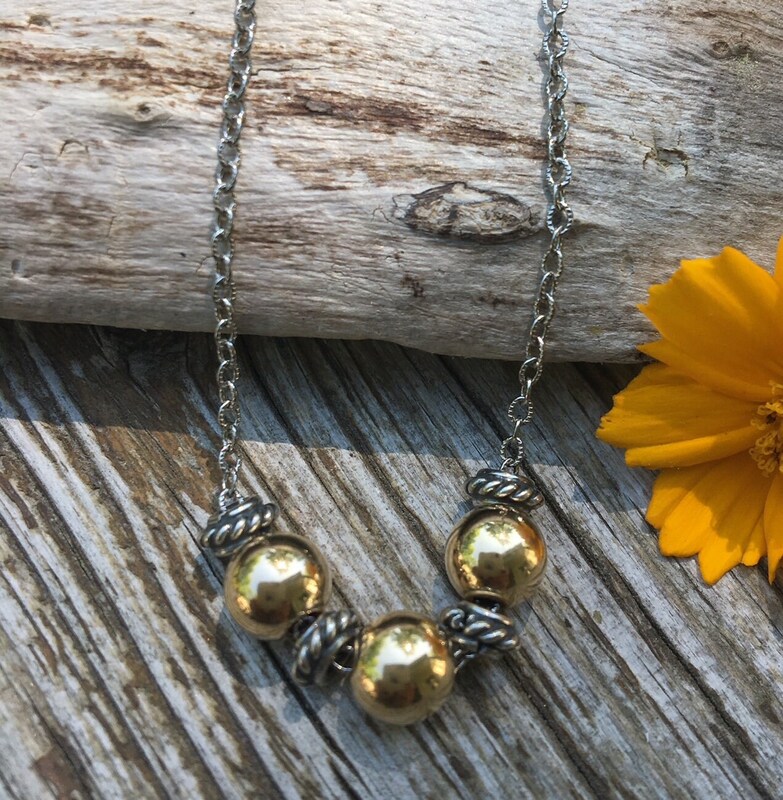 This choker styled sterling silver necklace has finely woven oxidized chain. 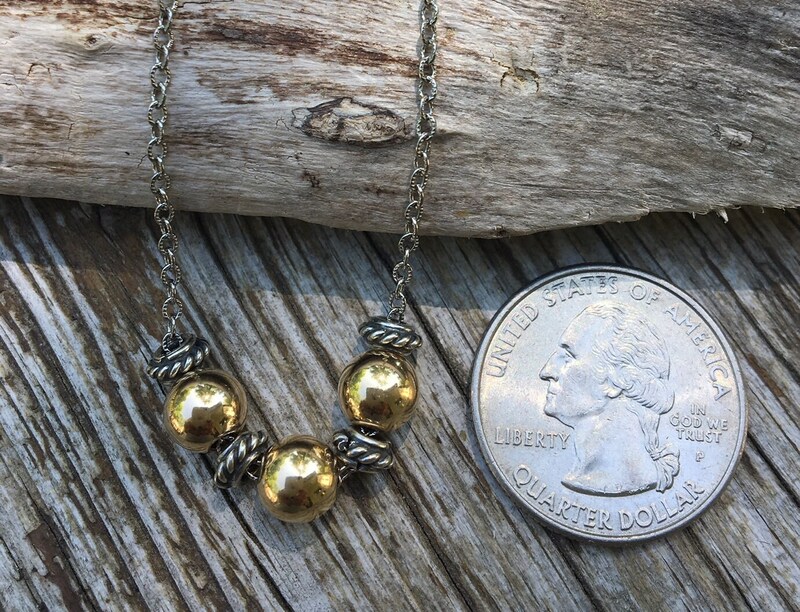 It measures 14.5" long + 2" extension chain. It is created to be worn at the base of the neck. 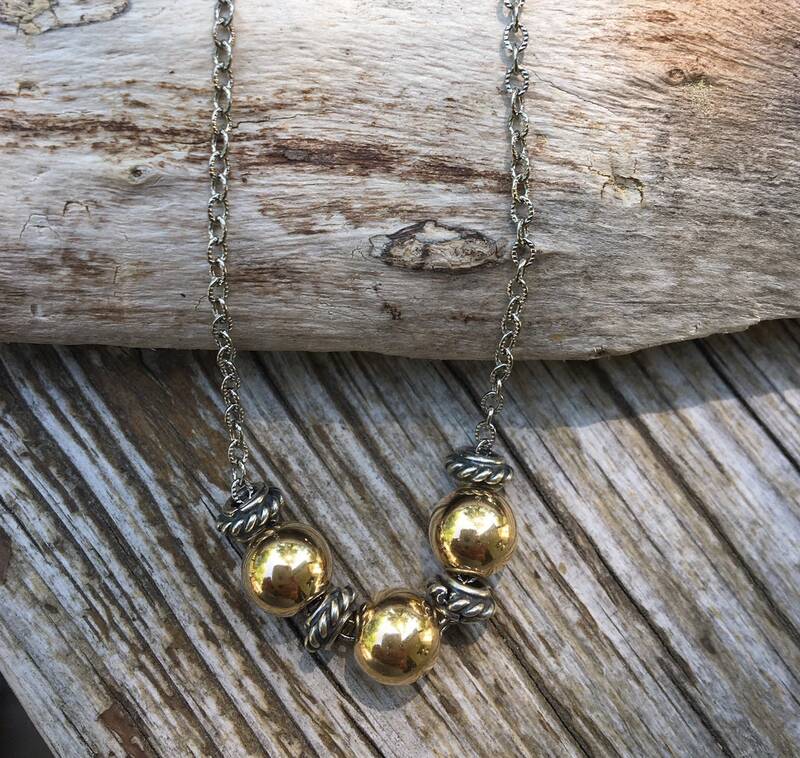 Shiny gold filled beads are accented with sterling silver Bali beads. Gold filled lobster claw.